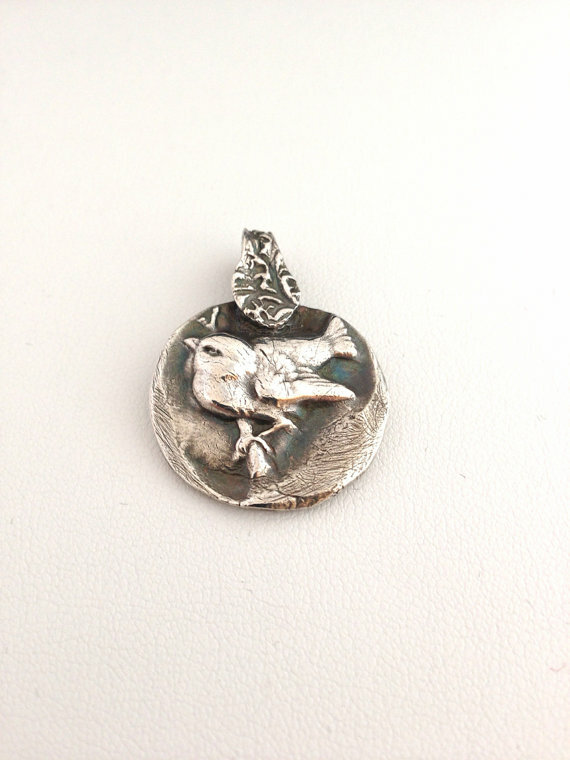 I made this chubby little sparrow pendant in .999 fine silver (more silver than sterling – fine silver is 99% silver – sterling is 92.5% silver). He looks like he’s ready to fly off with his branch! The pendant is abut 1″ in both dimensions. The bail has a vine like design. There is an oak leaf on the reverse. It is a heavy piece with good weight to it. 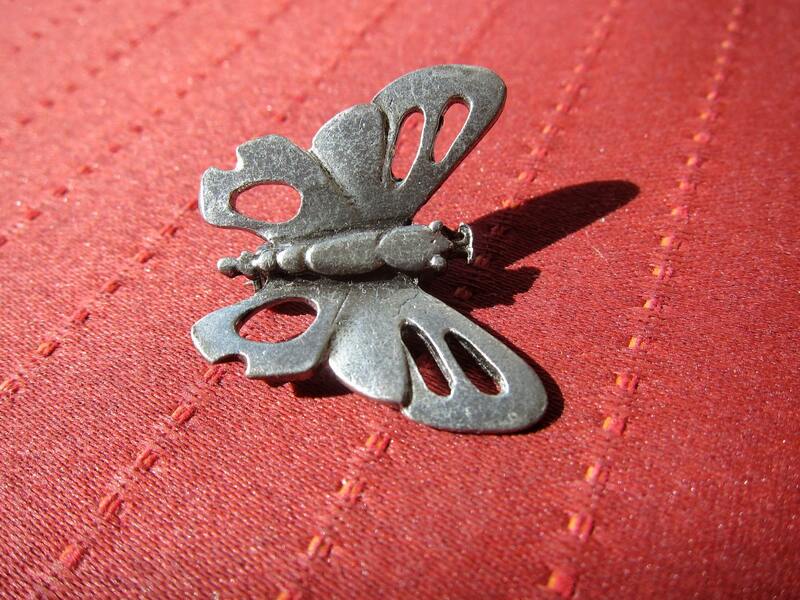 This pendant will come ready to wear on a black satin cord. It does not come with a chain.